QNEAT3 is a QGIS plugin that is written in Python and is integrated in the QGIS3 Processing Framework. It offers advanced network analysis algorithms that range from simple shortest path solving to more complex tasks like Isochrone Area (aka service areas, accessibility polygons) and OD-Matrix (Origin-Destination-Matrix)computation. All algorithms make use of the QGIS3 Python API, especially the graph analysis classes that are written in C++. This lays a positive basis in terms of algorithm performance as the heavy computing (like dijkstra algorithm) is performed using C++ machine code. 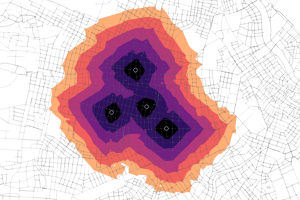 Other algorithms like polygon and contour based Iso-Area also make use of C/C++ based code like the QGIS Interpolation classes for distance value interpolation, GDAL library for raster data io and numpy for further processing. 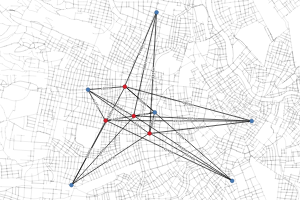 Pathfinding algorithms are the name and the game of network and graph analysis. 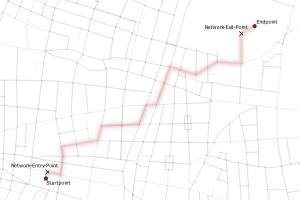 Using the QGIS3 implementation of the Dijkstra Algorithm, this algorithm computes the geometry and costs along the shortest path between two points. Iso-Areas are essentially the network-based version of buffers. They answer questions like 'How far can i go on a network when travelling 2500 meters from a given Startpoint on a street network?'. Several approaches to compute Iso-Areas are implemented. 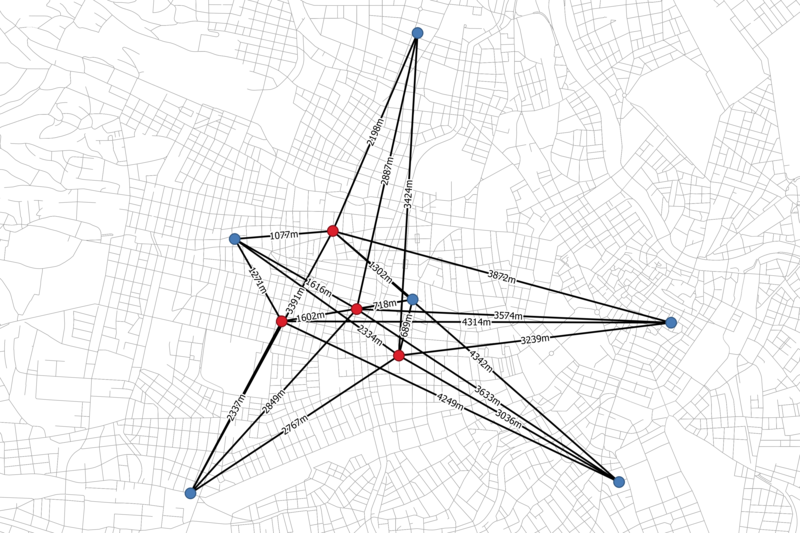 OD-Matrix algorithms - in case of the QNEAT3 plugin - compute the travel cost on network (either routed distance or routed time) between all combination of points in a layer. 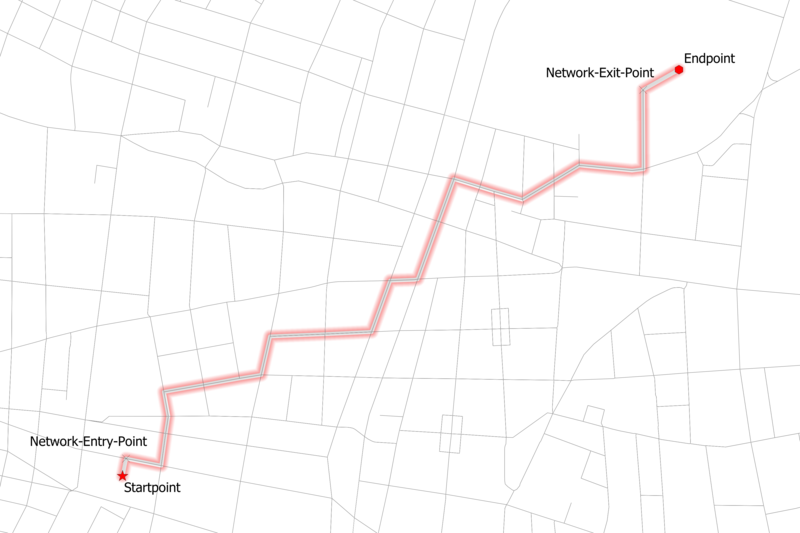 Travel cost on network without computing the shortest path geometry? These algorithms do the job!